We Verify Due Diligence provides 360-degree solutions to organisations/conglomerates, assisting them with extra leverage points in their business negotiations (acquisitions and/or mergers) and safeguarding their constructive interests from potential damages in the probable deals. Our clients value and recognise our efforts and over the years, We Verify has become a preferred choice for corporates to work with. We always strive to provide more data and statistics based on facts to assist you to make informed choices. »	The eligibility of a business or a target company before a merger or acquisition. »	Legal practice and procedures. 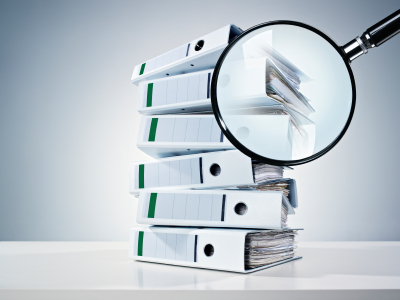 A due diligence process is undertaken after both parties have agreed to pursue a transaction. Our team will prepare a questionnaire covering all the required information and will examine relevant documents in detail. We will also conduct multiple onsite visits, and internal and external interviews with customers, vendors, suppliers and market experts. After this thorough and painstaking process, we will submit our final report. The aim of due diligence is to assess the risks involved in a transaction. An effective process does not eliminate the risks but will provide alternative solutions, including price negotiation and security provisions to reduce the chance of business loss. This helps both parties take a rational decision before finalising the contract or sales deed.